How and where collected user information is used? What happens to the information that has been collected? Does the website install any software on the user system? In this paper, we shall address the following fundamental question: Is readability affected in a mobile environment? More precisely, we shall focus on understanding the impact of display constraints of mobile devices on the readability of privacy policies. 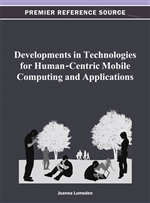 In this work, we shall study readability of policies in mobile devices and compare the results of mobile and desktop environments. The remainder of this paper is organized as follows: the next section provides an introduction to the issues and current directions associated with improving the readability of privacy policies. Next, the obvious readability challenge of mobile devices, namely screen size, is covered and others such as connection fees, lack of standards, and how user mobility affects readability. Then we explain some of the serious shortcomings of readability formulas and propose the Cloze test as a reliable replacement. The section concludes with a practical example of a Cloze test. Then, the readability of privacy policies on mobile devices is empirically explored. Next, we ask the question, do people prefer the mobile or desktop environments for readability? Not surprisingly, readers find the mobile environment significantly more difficult to comprehend privacy policies. Then suggestions are made in terms of what directions may be viable to resolve this problem; finally, the paper is concluded.